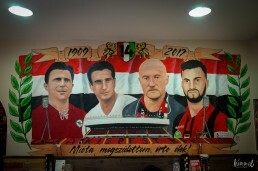 A couple of days ago The Hungarian Football Association (MLSZ) appointed Marco Rossi as the new Head coach of Hungary, replacing Georges Leekens at the helm. The move comes after a string of poor performances under the Belgian’s tenure, leading to widespread dissatisfaction amongst fans and players alike. Georges Leekens was appointed in the autumn of 2017, replacing Euro 2016 head coach Bernd Storck, whose contract was terminated as a result of losing to Andorra and falling at the wrong end of a 5-2 defeat against Switzerland. Leekens – who, prior to his appointment, had been virtually unheard of in Hungary – was brought in to rebuild the national side from scratch for future success. He was widely credited for laying the foundations of the current Belgian national side, although a lack of success and the constant flow of talent from Belgium could put this into question. During his 4 games in charge Hungary lost convincingly against Kazakhstan, Scotland and Australia, and managed to scrape an undeserved draw versus Belarus. He did not introduce young talent into the team; in fact the average age of the squad went up since Euro 2016, including calling up 33 year old Kitchee (Hong Kong league) player Krisztián Vadócz and 32 year old Predrag Bošnjak, the latter who spent the majority of his career in mid-table Hungarian sides and has not played since the embarrassing 2-1 loss against Northern Ireland under Attila Pintér back in 2014. The matches not only lacked quality, but players appeared to be unmotivated, and unlike in previous years, they did not show passion nor motivation on the pitch either. He had several months to come up with a new squad and failed to do so. Marco Rossi’s appointment drew widespread acclaim from players, journalists and the public alike. However, the logistics of the appointment are questionable; Leekens claimed that he was not notified about the MLSZ’s decision to terminate his contract and he only heard about Marco Rossi’s appointment in the media. He is set to return to Hungary next week to discuss his future. The MLSZ’s decision to make Rossi head coach appears to be the right one. Having coached in Hungary between 2012 and 2017 and since 2017 in Dunaszerdahely (Dunajská Streda) – the Hungarian minority’s team in Slovakia – he has a good understanding of Hungarian football culture and its mentality. He will be able to express himself to players better and be more understanding towards them. Rossi is also a builder. However, unlike Leekens, he has a proven track record in the Hungary football environment, taking mid-table Budapest Honvéd to league glory in 2017 by slowly improving the team year by year. Despite a small interval in his Honvéd career – when in May 2014 he resigned, but was rehired later on in the next season when the club were struggling – he has shown dedication to the job and had a great relationship with the fans. He has also demonstrated his ability to have an instant impact, taking qualifying Dunaszerdahely to Europa League qualifiers for the first time in 24 years in a single season. An instant impact at Hungary is necessary more than ever as they prepare to qualify themselves for Euro 2020 on the back of a poor run of performances they have not experienced in decades. Marco Rossi’s role at the national team is more than a new job for him. For Leekens, this was just another new appointment with another national team. He did not plan to live in Hungary, and even when he heard the news of his sacking, he was staying in Belgium. Rossi on the other hand has lived in Hungary for 6 years and has shown his dedication and love for the country during his time at Honvéd and Dunaszerdahely. In interviews, on the news that he was linked with the Hungary job, he responded with words expressing humility such as “honoured” and “humbling”. It is this what sets him apart from Leekens. He will show 100% commitment and will motivate players to show passion on the pitch as he is personally invested in the team. Hopefully he will bring cohesion, which was not seen in performances under Leekens’ tenure. He has no international experience, but all good international managers have to start somewhere and he is the best for Hungary at the moment. He already has that good connection with fans in the country that Leekens could only dream of. Rossi’s time as a lot of uncertainty over it and may not go as planned. However, most fans will agree that they would rather lose under Rossi than Leekens as they know that at least with the Italian’s team they will lose with dignity. The final whistle in the Groupama Arena against Norway heralded a sense of euphoria that has been forgotten in Hungary for a generation. After a 44 year absence the nation will once again compete amongst Europe's elite at this summer's Euro 2016 in France. And while it has been a long and arduous wait, ravaged by adversity and disappointment, the nation can once again rejoice at the country's success. Following the game against Norway, celebrations in Budapest and all across the country took long into the night, fans flooded the streets with the colours of red, white and green and a plentiful of palinkas were consumed to quench the dry throats of elated supporters never ceasing to sing, a few by none other than Hoffenheim striker Adam Szalai. However the emotions were still raw, the celebrations felt surreal and beyond reality. Often we Hungarians had to pinch ourselves to make sure we hadn't been engulfed in a dream, and relief flooded our systems when we awoke (wherever) the following day to the same news. Hungary are going to France! But now with time for the achievement to properly sink into our brains’ and comprehended by our minds, it is fair to ask just what can we expect? 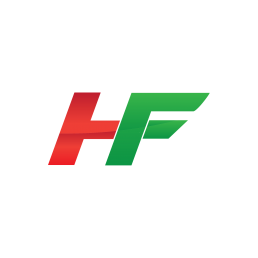 I will begin with a customary statistic; only one player (Gabor Kiraly) from Hungary's starting eleven against Norway was alive when the country last competed in a major tournament at the 1986 World Cup in Mexico. And only six (Kiraly, Vanczak, Juhasz, Leandro, Bosnjak and Gera) from the entire squad. Hungary is a nation with a paltry of experience at the elite level. Even more accentuated by the country's lack of representatives in Europe's major leagues, two in the Bundesliga (Zoltan Stieber and Adam Szalai), one in the Premier League (Adam Bogdan) and LA Liga (Balazs Megyeri), while the Serie A and Ligue 1 hosts not a single Hungarian. Even the above mentioned are merely fringe players in their squads, and rarely see themselves in the starting eleven. While the rest ply their trades in the lower leagues across Europe and the world, notably clubs in Poland, America and China. Notwithstanding this inexperience, Hungary is also a nation full of potential. In 2009, the country finished 3rd in the U20 World Cup, a fruition that rewarded an extensive youth project that has been gradually expanding across the country since the early 2000s. And a system that has produced the likes of Krisztian Nemeth, Tamas Kadar, Laszlo Kleinheisler and Adam Nagy - all crucial players in Hungary's route to qualification. As well as clubs like Puskas Akademia - an academy founded in 2007 who commenced their history in Hungary's third division, but have since gone onto reach the Nemzeti Bajnoksag, Hungary’s first division, six years later in 2013, and have remained ever present from thereon, providing the national team with players such as Kleinheisler as well as Adam Gyurcso and Attila Fiola. 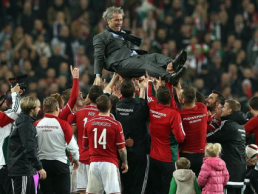 This supplemented by a manager in Bernd Storck bold enough to offer youth players a chance at senior level, provides a sense of optimism for the future that Hungary has seldom seen in previous decades. The latest crop of youngsters offers a new hope. Players like Adam Nagy, Zsolt Kalmar and Laszlo Kleinhesler are what epitomises the modern footballers of today, they are players of versatility and flair. They are game changers, unpredictable in a good way, players who have the capacity to pull, so to say, ‘the rabbit out of the hat’; they are what gets the fans out of their seat, jumping with joy. Kleinhesler typified this point with his outstanding goal conjured out of nowhere in Oslo against Norway in the first leg of the Play Offs, when a whole nation erupted with glee back in Hungary. However the above trio are only a few players amidst an abundance of talent seemingly thriving in Hungary and are yet to be tested at senior international level such as: Bence Mervo, a strong agile goal poacher who was awarded with the silver boot at this summer's U20 World cup; Mario Nemeth, a diminutive lithe number ten reminiscent of Philippe Coutinho; Laszlo Pekar, a robust midfielder with already six goals to his name this season, including a terrific effort against Videoton; and David Markvart, a midfield technician with an impeccable eye for a pass. Bernd Storck, who also had a short stint at Hungary's U20 side, is familiar with these up and coming players and has not been shy of handing debuts to his youngsters, Adam Nagy for example was involved in all of Hungary's last five qualification matches playing a steadfast role. With Storck's faith in youth, Mervo, Nemeth, Pekar and Markvart alike have an outside chance of making the squad for the Euro's, and will undoubtedly be key components of Hungary's squad in the long term. The squad is also built from the players of the 2009 World Cup bronze medallist generation. Players like Krisztian Nemeth, Zoltan Stieber and Tamas Kadar offer unfulfilled potential dying to finally burst onto the international scene. Kadar and Nemeth both tipped to be the stalwarts of a new Hungarian footballing age, endured torrid spells during their youth in England at Newcastle and Liverpool, blighted by severe injuries that would have crippled most players. However Kadar and Nemeth have come through their adversity to make good careers for themselves at Lech Poznan and Kansas City respectively and will undoubtedly be highly coveted with impressive displays at the Euro's in the summer. Whereas Stieber is yet to find his level in Germany with a mixed level of spells for various clubs, his current one at Hamburg has proved futile to say the least. Nonetheless at international level he too has shown glimpses of his potential, a cathartic and astounding late winner in a tense game against Finland was a goal many Hungarians will not forget for a while and showcased what Stieber athleticism and agility can provide. For these players, the Euro's will be an opportunity to come to the fore of the footballing world once again. Meanwhile for the old guard, the likes of Kiraly, Gera and Dzsudzsak, the Euro's will herald a chance to vanish their former qualification dismays and bow out of the international stage in style. It will be an opportunity to finally justify their hype to the sceptics who have dismissed their achievements at club football due to such scant to show at international level. To cast our minds back into the long forgotten past, in Hungary's last appearance at the Euros in 1972, the nation finished fourth, hosting legends such as Ferenc Bene and Ballon d'or winner Albert Florian amongst their ranks. The incentive is there for the players to do well once again, though the notion of emulating such former greats is understandably farfetched and naive. The truth is expectations are difficult to surmise, with nothing to compare to from previous tournaments, nobody is quite sure what will ensue in the summer. This element of surprise is perhaps Hungary's greatest advantage and something that can be capitalised on. Norway underestimated the country and were thoroughly humiliated with back to back defeats. Come the draw on December 12th I am sure many countries will be vying for our name with similar agendas. Let's hope they too will be left with crimson cheeks by the end of the summer. Lastly a note to those who claim to diminish Hungary's qualification with the argument for the newly expanded 24 UEFA team system, while this conviction is true and may perhaps made qualification less challenging, it is also disputable and should come to moot when one assess the quality of the teams who still failed to qualify such as Greece, Bosnia, Slovenia and Denmark - whom have all competed at major tournaments in the past decade. And of course not forgetting Holland, the 2010 World Cup finalists, who a little over two years ago thrashed our nation 8-1 in one of Hungary's most humiliating defeats at the 2014 World Cup qualifiers. Journalists dubbed the result as the country's lowest footballing moment and called for a crisis point, doubts were raised whether Hungary would ever compete in a major tournament in our life time, while the manager at the time Sandor Egervari was axed. Three managers and a qualifying campaign later; those doubts have been cast aside. Now the roles have juxtaposed with the Dutch having to endure the tournament from their sofas at home, while Hungarians will be celebrating in France. Football truly is a bizarre and beautiful game. The Champions League is all about big European team A vs big European team B isn't it? Wrong! The magic is to be found way down the leagues and in the early rounds of the competition. It's about playing teams you have probably never heard of from countries you probably never knew existed. What will their fans be like? Who is their number 10? What will their team play like? I doubt in many press boxes around Europe come the start of the group stages, will various media outlets be scrambling for information about the opposing teams, players and fans. On the borders of England and Wales last night, this was exactly what I found. I arrived in Oswestry, a small town border town in Shropshire, not really knowing what to expect. 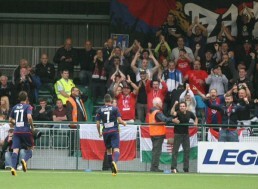 Will the pubs in the town centre be full of Hungarian ultras drinking and singing? No. Everyone was going about their usual business at a slow pace blissfully unaware that the champions of Hungary were in town. Upon arrival at the ground four hours before kick off I could see all the preparations taking place to welcome Videoton and UEFA. I walked into the main entrance and into a very impressive bar area. Kids were arriving to use the bowling alley whilst the locals drank tea and coffee. If you haven't seen it before, an article a few years ago asked, do aliens exist, and are they actually Hungarians? I think a lot of people at the New Saints had! Wearing my Hungarian international coat with HUNGARY written across the back, I became a curiosity. Will he want goulash? How did he climb over the fence around Hungary to get here? I was approached by a man in a suit who introduced himself cautiously whilst looking me up and down. He was the head of police intelligence. One of the downsides of being 6ft tall, big built and having a skinhead is that I fit the profile of an ultra perfectly. we sat down and talked about how many fans Videoton are likely to bring and why Polish fans were planning to be at the game. I think and hope I put him at ease. He was a really nice guy actually but to others looking on I must have looked like I was being told off for being the leader of the ultras! My colleague Tomasz arrived at the ground after a journey as gruelling as mine and we headed to the press sign in section to get our passes. Gilbert was the man responsible for this and was very welcoming before grilling us about what to expect from their Magyar opposition. this was a novelty for us as lets face it, most people in Hungary couldn't care less about our teams! Gilbert led us to our press position and made sure we had everything we needed before leaving us. A really nice touch and just another little thing that makes The New Saints unique. They really wanted to make an impression as hosts and they surpassed expectation at every level I am happy to say. As the Welsh press joined us in the press box, the friendliness of everyone was staggering. Again people were keen to learn about Videoton as well as Hungary. The consumption of Palinka at the 2nd leg by Welsh people will purely be down to Tomasz and myself! Apologies for the hangovers guys! The representatives from the football association of Wales were fantastic guys too, keeping us stocked up with sweets! As kick off approached, Videoton's ultras descended upon the ground in good numbers. They were in good spirits and very noisy which considering there wasn't a local pub made it all the more impressive. They took their places in a small corner of the ground with no segregation and must have felt like freed zoo animals when you consider what it's like to be an away fan in Hungary. There was no trouble and the party got into full swing when their friends from Raków Czêstochowa and Zwickau in Poland joined them. They were brilliant throughout as noted by various Twitter accounts linked to The New Saints. There has been much written about the game itself so I won't go into great detail but I think we were all surprised about the way The New Saints approached the game and they could and should have possibly been a few goals up. After an administrative error, Videoton were left without a striker and 1st choice goalkeeper and although that was evident up front, the debut of young goalkeeper, Péter Gábor, was excellent. After a few shaky moments clearly down to nerves, he grew in confidence and stature and demonstrated good handling on quite a few occasions. A clean sheet in a Champions League qualifier on your debut is not be sniffed at although it may be a while before he gets another chance. István Kovács was clearly the danger man and he made run after run at The New Saints defence but the end product wasn't there. I can't blame him really as there was no goal threat for him to provide for but it was amusing to hear the commentator for Welsh TV channel, S4C, call him the Hungarian Pele!. On the wings, Oliveira had lots of possession but had a mixed night with a lot of his passes intercepted. Much the same can be said about Gyurcsó, although his goal proved to be the difference in the 77th minute when he fired Videoton into the lead and gave them the win and possibly important away goal. Defensively, bar a few lapse moments, our left and right back were given lots of freedom to go forward and Fejes in particular was all over the pitch. Roland Juhász was calmness personified and after facing The New Saints before whilst at Anderlecht, I am sure the Welsh forwards will be glad to see the back of him. I can't be harsh on Videoton for a few reasons. Our season does not start until this weekend and only a handful of friendlies have been played so although the lack of team cohesion was apparent, it was understandable. The new manager has not managed to make his mark on the side yet with people still finding their feet in his new system. They should prove to be too much for The New Saints in Hungary though and I fully expect them to progress in the competition, at least for another round. The press conference at the end was amusing as I asked Videoton manager, Bernard Casoni, wether he has lined up a replacement for top goalscorer, Nemanja Nikolić. Bernard said that a good goalscorer was hard to find and also very expensive. I told him I was available to which he enquired how much I would cost him! Really good of him to interact the way he did considering he has only just joined the crazy world of Hungarian football. This was one of those nights where the football was a backdrop to the day on the whole and as we left the stadium, we bumped into the team getting onto their coach. They were all very relaxed. Manager Casoni wandered around the car park on his mobile phone while Hungarian legend, Roland Juhász spoke to us like we were old friends. Videoton's director watched over them all like a headmaster ensuring all his children were present before leaving the school outing. Don't meet your heroes someone once said. I disagree completely. The Vidi players and staff couldn't have been more friendly and accommodating. Driving away from the stadium, the sat nav said 155 miles and 3 hours to get home. I sighed, although not because of the journey ahead. The New Saints had become The New Friends which I was leaving behind. There were so many people that made it a brilliant time. This is what football is all about. It is so far away from the Champions League most people know of or care about that it is on a different planet. A planet where the Hungarian aliens were welcomed by the good people of Oswestry and The New Saints Football Club. I hope you all enjoy Hungary (apart from the football!) and get to take home memories like I have. Diolch yn fawr iawn! The Hungarian 1st division fixtures are out! It's that time of year again! Planning a trip to Budapest or elsewhere in Hungary to watch football? Here are some key dates and fixtures for you. The winter break starts after the weekend of the 11th December 2015 and the league resumes on the weekend of 11th February 2016. If you are planning your holiday around our teams annual crashing out of European competition, you may want to hold on a little bit longer! Corbett Sports Welsh Premier League champions, The New Saints, won the title with ease. From 32 games, they won 23, drew 8 and lost 1. Scoring 90 goals and conceding 24, the gap to second place was a huge 18 points. They have qualified for Europe in the last 16 seasons and have been victorious twice before, firstly knocking out Irish side Bohemians before losing to Belgian giants Anderlecht and secondly, a 2-1 aggregate win over Northern Irish side Cliftonville before bowing out at the hands of the Danes, FC Midtjylland. TNS play at Park Hall in Oswestry where the capacity is around 2000, with 1000 seats. B36 Tórshavn are the current champions of the Faroe Islands Premier League. They won the title by just one point and had a record of 19 wins, 4 draws and 4 losses from their 27 matches. They last made it to the 2nd qualifying round in the 2006-07 season where they lost to Turkish side Fenerbahçe. In their last two European campaigns they have met Northern Irish side Linfield, losing just once over the 4 legs and drawing the other 3. Based in the capital, they play at the Gundadalur Stadium which has a capacity of 5000. bizarrely, B36 are already 16 games into the current season so match fitness won't be a problem! The Dutch side from Deventer qualified for Europe via the fair play route after FC Twente withdrew. It may soften the blow for them after being relegated from the Eredivisie last season via the play offs to De Graafschap. They have played in Europe only once before in their history, back in the 1965-66 season where they lost to Scottish side Celtic. Currently playing in Emmen at the Jens Vesting stadium whilst their ground is developed, it has a capacity of 8600. A trip to Montenegro for Loki who face the league runners up who have been champions twice before in recent seasons. In the last two seasons in Europe they where knocked out by Moldovan side FC Sheriff Tiraspol, drawing just 1 of the 4 legs. Sutjeska play home games at the Gradski stadium which has a capacity of 5214. The Serbian Super League side finished 4th last season and are no strangers to Hungarian opposition in Europe. In 2013 they knocked out Budapest Honvéd very comfortably at the 2nd qualifying round stage, winning 5-1 on aggregate before going on to lose to FC Sheriff Tiraspol in the play off round. They have met MTK before in Europe back in the 1987-88 Inter Toto Cup where they won 5-0 on aggregate. They play at the Karađorđe Stadium which boasts a capacity of 14458. 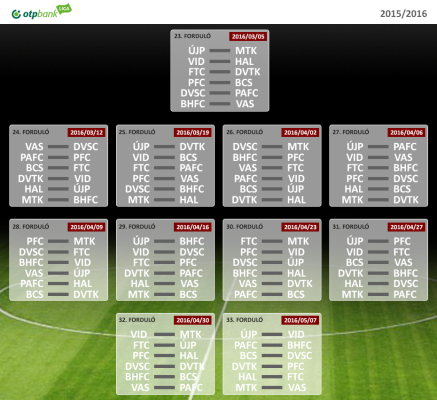 What awaits our Hungarian teams in Europe?